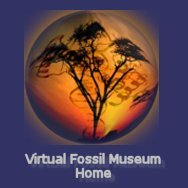 I am The Virtual Fossil Museum's primary webmaster. Vocationally, I am currently a computational biologist; here I list and store my publications so as not to lose them on my hard drive. My avocational interests include evolutionary biology (especially Precambrian and Cambrian), paleontology, and science education advocacy. I also contribute to the Palaeos and Western Trilobite Association website. Supporting an Environment with Unpredictable Demand, Research Consortium, Inc., Invited talk at Conference on Top Management Strategies for High Performance Computing, Boston, MA., October 9-12, 1990. Neutronics Calculations for the McClellan AFB Stationary Neutron Radiography System (SNRS), GA Technologies Triga Reactor Report NR 29, April 20, 1987. Radiation Transport Phenomena in SP 100 Shielding Designs, Proceedings of the 3rd Symposium on Space Nuclear Power Systems, Albuquerque, NM, January 13 16, 1986. Compact Tokamak Hybrid Reactor Systems, Proceedings of the Tenth International Conference on Plasma Physics and Controlled Nuclear Fusion Research, International Atomic Energy Agency, London, United Kingdom, September 12 19, 1984. Neutronics Calculations for Normal Conducting Copper RIGGATRON Tokamaks, Journal of Fusion Energy, January 1984. RIGGATRON Fusion Power Core Driven Hybrid Electric Plant Based on LMFBR Technology, Transactions of the American Nuclear Society, 45, 186, San Francisco, California, October 30 November 3, 1983. A Systematic Approach to Activation Analysis for the RIGGATRON Fusion Demonstration Experiment, Transactions of the American Nuclear Society, 43, 631, Washington, D.C., November 14 18, 1982. Fuel Cycles and Advanced Core Designs for the Gas Cooled Fast Reactor, Department of Energy (GA A15603), General Atomic Company, July 1982. Requirements for the Gas Cooled Fast Reactor Plenum Streaming Experiment, Department of Energy (GA A16062), General Atomic Company, September 1980. Impact on Spectral Dependent Irradiation Effects Data on Gas Cooled Fast Reactor Demonstration Plant Shield Design, Advances in Reactor Physics and Shielding, American Nuclear Society Topical Meeting, Sun Valley, Idaho, September 14 17, 1980. Gas Cooled Fast Reactor Shielding Design and Supporting Experimental Programs, Proceedings of the Second Annual GCFR Program Technical Review, Helium Breeder Associates, Rancho Bernardo, California, June 4 6, 1980. Design of the Gas Cooled Fast Reactor Demonstration Plant Reactor Shielding System, Transactions of the American Nuclear Society, 33, 704, San Francisco, California, November 11 15, 1979. Physics Design of the 300 MW(e) Gas Cooled Fast Reactor, Transactions of the American Nuclear Society, Canada, June 14 16, 1976. Radiation Streaming in a 300 MW(e) Gas Cooled Fast Reactor, Transactions of the American Nuclear Society, Toronto, Canada, June 14 16, 1976. Gamma Ray Heating in a 300 MW(e) Gas Cooled Fast Reactor, General Atomic Company, Department of Energy (GA A13790), January 1976. AUXTRAN A FORTRAN V Program for Simulating the Dynamic Performance of the Gas Cooled Fast Reactor Core Auxiliary Cooling System General Atomic Company, Department of Energy (GA D13292), January 1975. Thesis: Disposing of Waste Heat from Advanced Power Sources by Infrared Radiative Transfer to Space University of Florida, June 1974.